These Peanut Butter and Jelly Cups are so delicious and easy to make with only 3 simple ingredients. 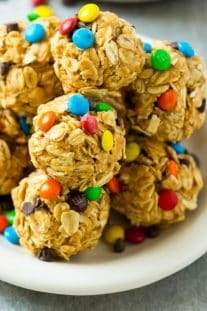 They are vegan, paleo-friendly and refined sugar-free. 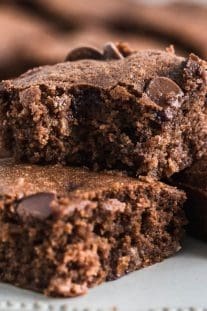 This simple dessert recipe will become your all-time favorite treat. 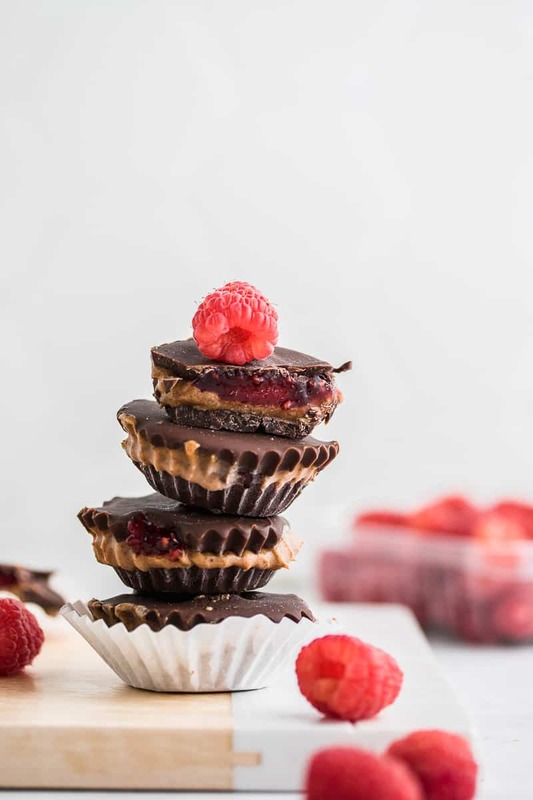 This Peanut Butter and Jelly Cups recipe can’t get any easier to make. 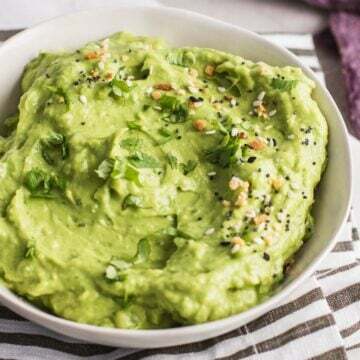 It only calls for 3 simple ingredients that most anyone can find in their fridge and pantry. 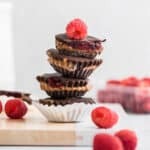 Chocolate, any nut butter, and jam/jelly. 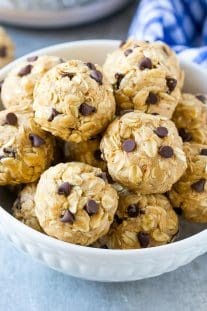 For a vegan option, use dairy-free dark chocolate chips. 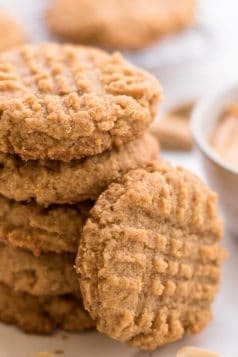 For Paleo-friendly use almond butter instead of peanut butter. Aso for the jelly, use any of your favorite sugar-free jelly flavors. 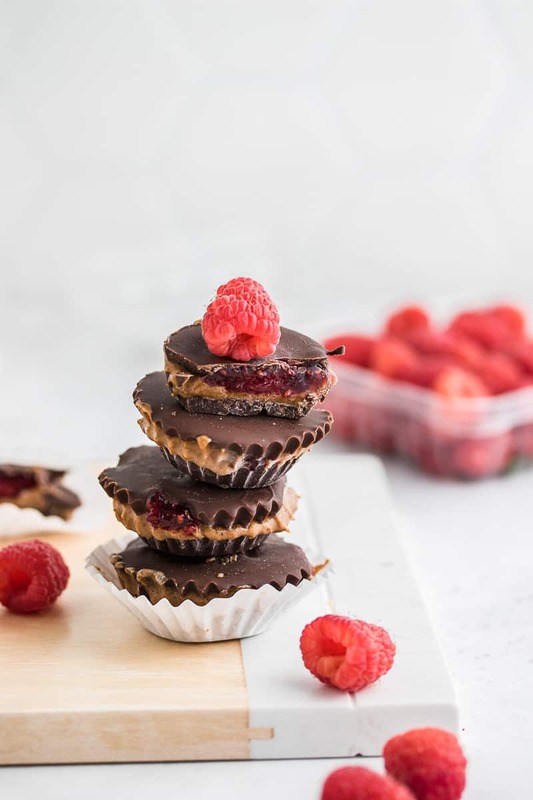 These peanut butter jelly cups are so tasty and the perfect healthy treat you can enjoy without any guilt. What jelly goes with peanut butter? Traditionally, grape jelly is what mostly everyone loves or combine with peanut butter. When you think of peanut butter and jelly sandwich the first thing that usually comes to mind is grape jelly. Of course, it will come down to your personal preference. Some don’t like grape jelly and would rather go with strawberry or raspberry. 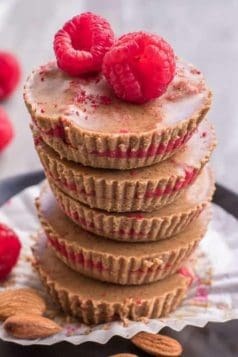 For this peanut butter cups recipe, I decided to go with raspberry jelly. 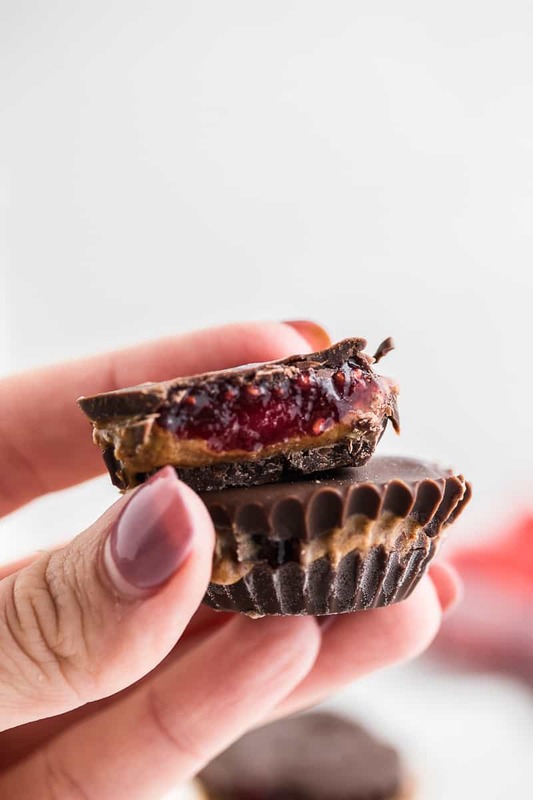 Is Peanut butter & jelly healthy? First, let us talk about peanut butter. Peanut butter has been known to be a huge component of a healthy diet. 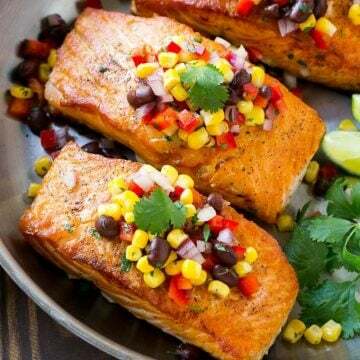 They are packed with protein and healthy fats. 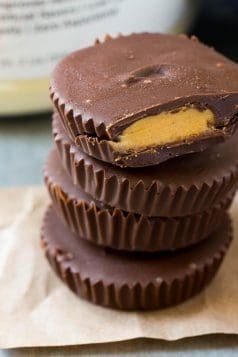 Try to choose all natural or organic peanut butter that has no added sugar to them. 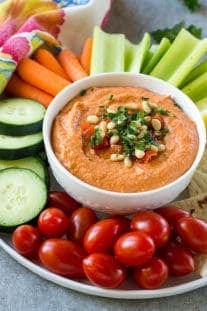 Peanut butter is fairly healthy to include in your diet. As far as jelly, they are loaded with sugar. Try making your own healthy jelly at home or always go for the sugar-free option. 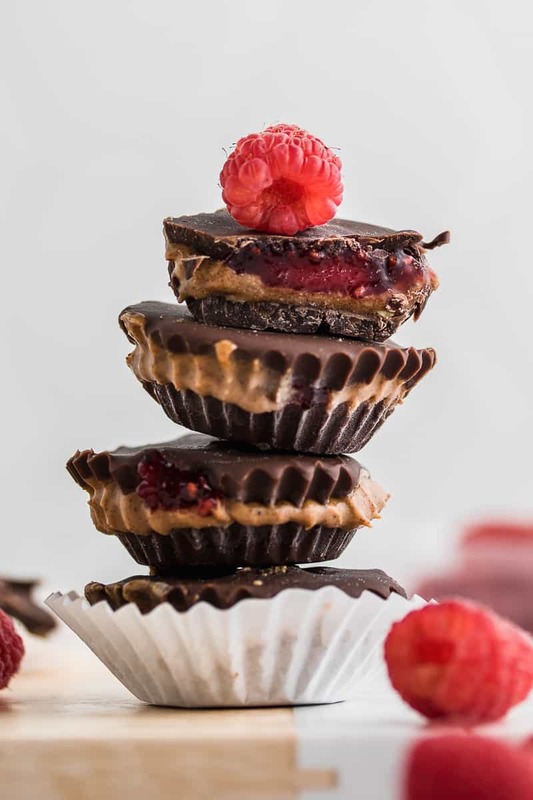 No reason not to make this Peanut butter and jelly cups recipe right? 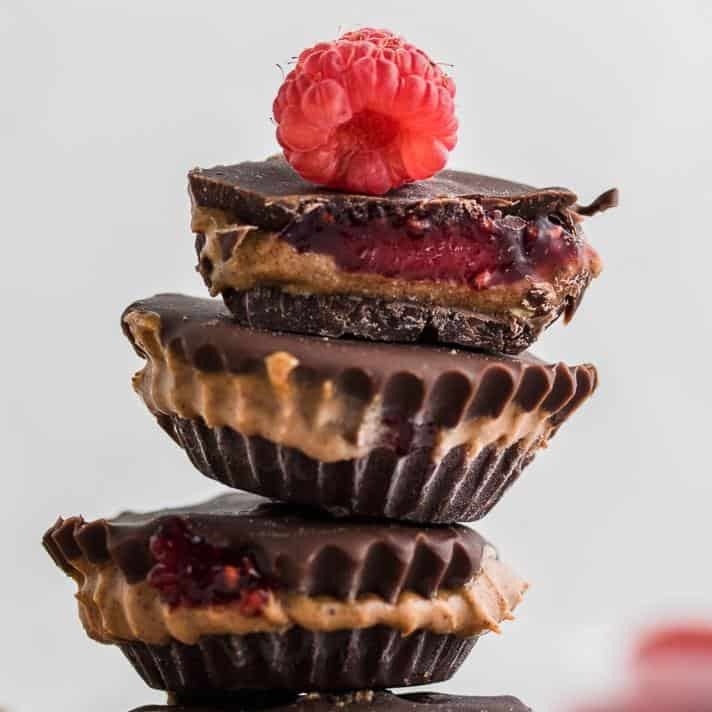 Let me know your thoughts on this Peanut Butter and Jelly Cups recipe. What type of jelly did you go with? 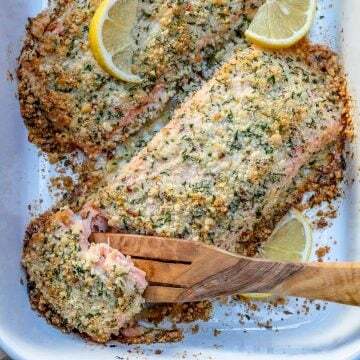 Leave me a comment below and let me know. 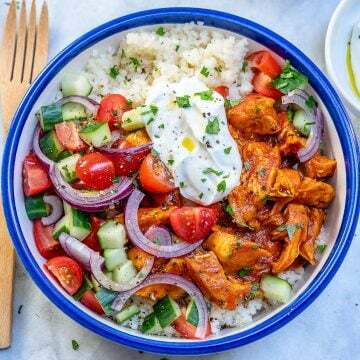 Finally, if you try a recipe and you like it, please use my hashtag #healthyfitnessmeals on INSTAGRAM for a chance to be featured! 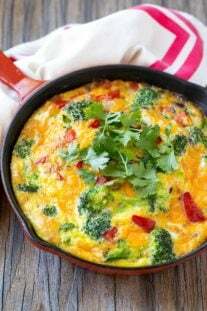 FOLLOW Healthy Fitness Meals on FACEBOOK | INSTAGRAM | PINTEREST | TWITTER for all of my latest blog posts and recipes.